2 Kings 16:3-4 (NIV) "He (Ahaz) followed the ways of the kings of Israel and even sacrificed his son in the fire, engaging in the detestable practices of the nations the LORD had driven out before the Israelites. He offered sacrifices and burned incense at the high places, on the hilltops and under every spreading tree." Perhaps you've heard it said that imitation is a sincere form of flattery. In today's reading, we find the first instance where the kingdom of Judah, under the direction of King Ahaz, imitates Israel's apostasy — and it's not a very flattering chapter. King Ahaz chose to imitate the wrong models in three key areas of his life — personally, politically and in his worship practices. 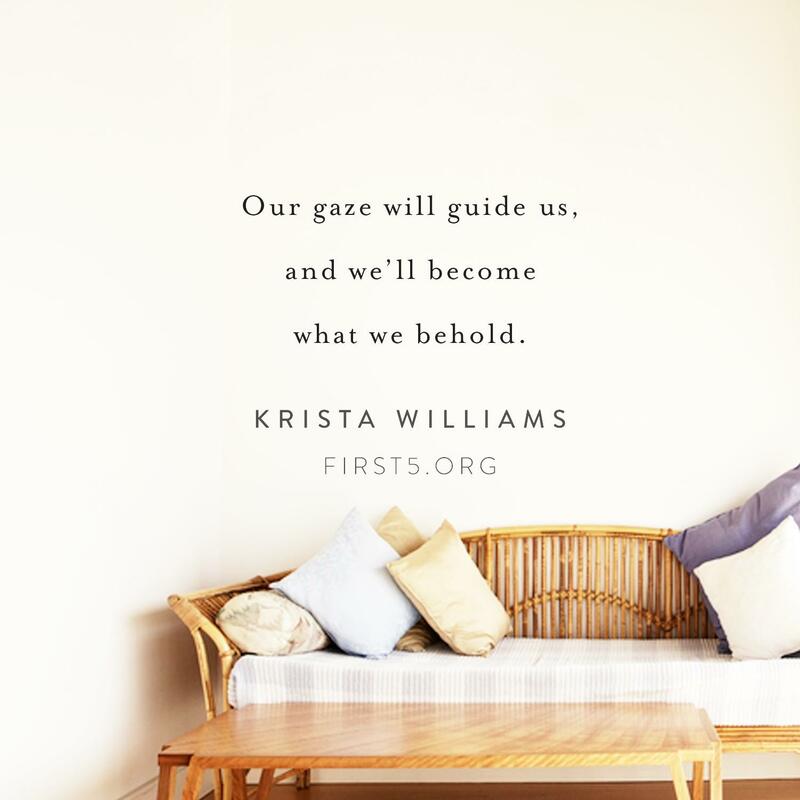 Intentionally or unintentionally, our gaze will guide us, and we'll become what we behold. Historically, Ahaz had plenty of godly examples, but ultimately the ungodly examples around him enticed him. And Ahaz followed the wrong crowd. (2 Chronicles 28:1-3) One tactic the enemy taunts us with is envy. We look at our peers and others around us, and we want what they have. At that moment — when we begin to covet and compare ourselves to others around us — we lose who God created us to be. Why is it that we tend to be so quick to run to others for help when we find ourselves in trouble? Ahaz had access to the almighty King of Kings, but he chose to put his trust in an earthly king. He was likely scared, so he sought help. But he sought it in the wrong place and submitted to the wrong king. (2 Kings 16:7-8) We can be prone to place our trust in people rather than turning to God, just like Ahaz. We ask others for advice, but don't seek God's counsel. We enlist people to pray, but we never take the time to pray ourselves. Spiritual decline is a slippery slope. It all starts when we stop looking and listening to God and start watching and imitating the world. Ahaz was a man who worked to do evil with both hands. (Micah 7:3) Instead of walking in the way of the Lord and trusting God's Word, Ahaz chose to mimic the wrong models in every area of his life. I cannot help but imagine what amazing blessings might have been Ahaz's (and ours) if he had submitted, sacrificed and surrendered to God with the same energy and heart he submitted to the King of Assyria and the pagan practices of his day. Prayer: Lord God, You alone are worthy of our love and loyalty. Have mercy on us for the ways we have allowed the lure of the world to captivate our affections. Reveal to us the specific areas where we are prone to follow the wrong example and point us in the direction of repentance and truth. Raise up godly examples in our lives. Renew our minds and revive our hearts according to Your Word. By Your Spirit graciously fill us with a pure and holy devotion for You. In Jesus' name, amen.